As part of our collection of articles for the slot machine novice we’ve covered a number of terms that should help you get the most out of your gaming time. In this article we’re going to introduce the concept of multipliers and how they can improve your winning potential by a substantial amount. 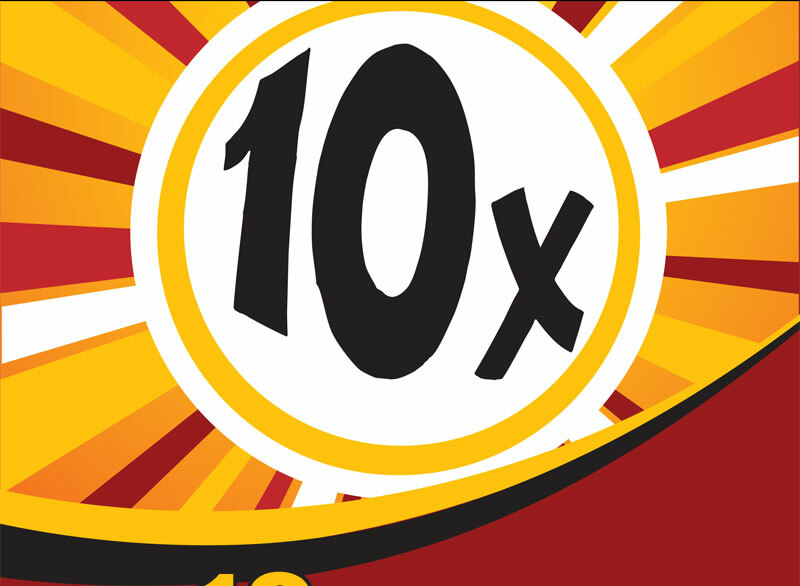 A multiplier does pretty much what it says on the tin, it multiplies your win by a certain amount – usually something between 2x and 10x. 10x a small win quickly turns into a pretty big win. 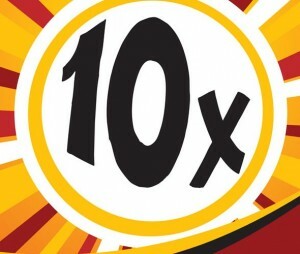 Multipliers can be obtained in several ways and that will depend on the game design. Generally multipliers are part of the bonus features of a game but there are examples in games such as Muse Wild Inspiration that offer multipliers as part of the standard gameplay. In that game landing one of the Muse wild symbols as part of a winning line will also grant a modest multiplier. Most games offer multipliers as part of the bonus features though, especially the newer five reel online slots which seek to add an extra layer of variety to their gameplay. Bonus features will be triggered by whatever method the game devises and you’ll then be whisked off to some sort of funky game which will provide you with a guaranteed win. It’s very common for a multiplier to be part of this bonus game. Ali Baba and the Forty Thieves is an example of this type of game; the bonus feature offers the player the chance to pick from a selection of treasure chests – some contain cash prizes and some contain multipliers; get it right and the wins are substantial. Multipliers tend to be overlooked by those just dipping a toe into the world of online slot machines but they are a valuable way of increasing your winnings. Small prizes turn into big prizes and big wins turn into something to be celebrated with a bottle of champagne.